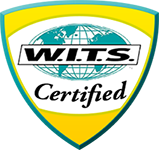 Special Note: Did you know that taking a certificate course online or live assures you of W.I.T.S. CEU’s to renew too?! Check out a favorite specialty topic and expand your resume. View certifications. For example, if an individual is certified on May 15, 2016, certification will expire on May 30, 2018. Applications for recertification must be submitted at least 30 days prior to the date on which the certification expires for us to return your updated certificate on time.